It’s a little weird this morning to not get up and immediately be thinking, time to workout. I know my body needs a little time off and thus I’m taking two weeks of rest. I’m starting back up on the May 14th. I’m gathering people who are interested in doing a 90 day fitness challenge. Nothing helps you more than having a little core group of people where you can share your experience, be held responsible for letting people know you worked out and have support when you’re in need of answers. May 14th is the start of my next fitness challenge. Join me and a select group of people to get into better shape, lose weight, and have a great time! Contact me to join up asap. Nearing the finish line. Into the final week of this whole X2 journey. While it’s not fun to have to take a week off due to outside forces, there’s nothing that can be done about it and all I can do is move on. What have I found as I get back up to speed with X2? I find that PAP Upper is still tough. Overall I’m doing better with the workout. The absolute hardest move is still the renegade row. I don’t know if it’s my lengthy body or if it’s the fact that I’m primarily a guitar player and don’t need huge arms, but I find it stupid hard. I tried going to 15 lbs per arm and only got 8 reps. Next round I went to 10 lbs and still found I couldn’t get full reps. Beyond the renegade row, I find the med ball sphinx plank hold to be difficult. I made it the first round. 2nd round I fell 5 seconds short. 3rd round 15 seconds short. 4th round I fell 20 seconds short. That’s not fun when I really feel like I’m pushing it as hard and as long with good form as I can. As soon as the form goes south and I can’t get back to it, I have to drop. The rest of the workout has been something I can hang with. Those two moves provide the most trouble out of all the P90X and P90X2 workouts I’ve done. Tomorrow is Yoga X2 then another two PAP workouts and one more Yoga day. At that point it will be the final photos and thoughts. Come the 30th I’ll be starting a fitness Challenge and starting it all over again. Join me! I’ve got 2 spots left for the April 30th group. I’m pretty sure I’ll stick with P90X2 for a 2nd journey before I start mixing and matching between X2 and X. I’m hoping by the end of the week that I won’t find PAP Upper still tough. One can dream. Here’s a personal pet peeve of mine. People that go out in public sick. How important do you think you are that you need to go around infecting other people with your problem? I’m now getting back on track after a week of being laid out due to Strep throat. Put me in bed for a few days, came on real quick too. Today I was finally feeling human enough to be getting back to PAP Upper. While I wasn’t able to really push the workout hard, it did feel real good to be working out again. I did what I could after being out ill for a week. The hardest move in PAP Upper today was the renegade row. I only got about half the reps. Under the circumstances, I can’t complain. I’m hoping in the next 10 days I’ll get completely back on my game as that will be then of my 90 day journey with my first round of P90X2. At which point I’ll be starting my next fitness challenge. Who among you would like to join me in the fitness challenge? Contact me and we’ll make it happen! I feel better for having tackled a workout. Even if it was the hardest of all the P90X2 workouts. Gotta pick up where I left off and that was getting back to PAP Upper. On the 7th day there was rest. 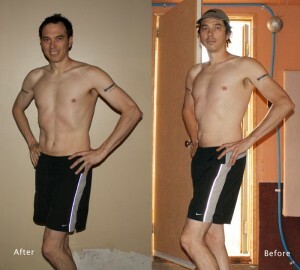 Today is a day of rest for my first week of Phase 3 in the P90X2 Journey. I’m really diggin that. Mostly due to the fact that I found that PAP Upper is damn hard. Another thing that has cropped up is a fitness challenge. My upline coach at Beachbody has put it to me that on the 30th of this month I’m going to be a part of a fitness challenge. So I’m joining in. In addition to that I’m putting out to people I know that I’m putting a fitness challenge together on the same day as well. That’s right, I’m pushing to get you and others that I know to get into better shape and health. Are YOU interested in getting into better shape? Are YOU interested in being healthier? Then a 90 day fitness challenge is what you need! Contact me and join up. The cool thing is, you can win prizes for participating! Get in shape and have a shot at winning something cool too? What can be better?!? Though it’s a day of rest, I’m thinking ahead to my next round of getting into better shape and I want you to be a part of that fun. I’ll push you, you push me, we’ll all win! Despite the holiday yesterday, I ended up not posting about the PAP Lower workout that I did. That is a good workout but not overly difficult. I’m able to keep up with that one. Today was PAP Upper. I’m coming to the conclusion that upper is not a normal PAP workout. Seriously I’m finding that the PAP Upper is the hardest of all the workouts in both P90X and P90X2. Even harder than Plyocide. And Plyocide is a workout that I’ve not only thrown up to and bonked out in. I know I’m in better shape than I’ve ever been in, yet I’m still huffing puffing and really pushing hard to get through PAP Upper and even in the 2nd half of this first week I’m still not able to keep up. That bothers me. The fact that I had to press pause a couple of times and I still couldn’t do all the reps, ugh. Despite the mental drain of not being able to keep up, I power forward. I pushed myself on a couple of the moves to hold out longer as much as I could. I mean really hold out. More than I’ve ever pushed myself. That’s super hard to do. Nearing the end of the first week of Phase three, I can see how this phase might be easy to burn out in. I have two more weeks to go with it. Then at the end of the month I’m starting a BeachBody Challenge. Contact me if you’d like to join up with it. There’s prizes and that’s something that can make what is not a normal PAP workout all worthwhile.